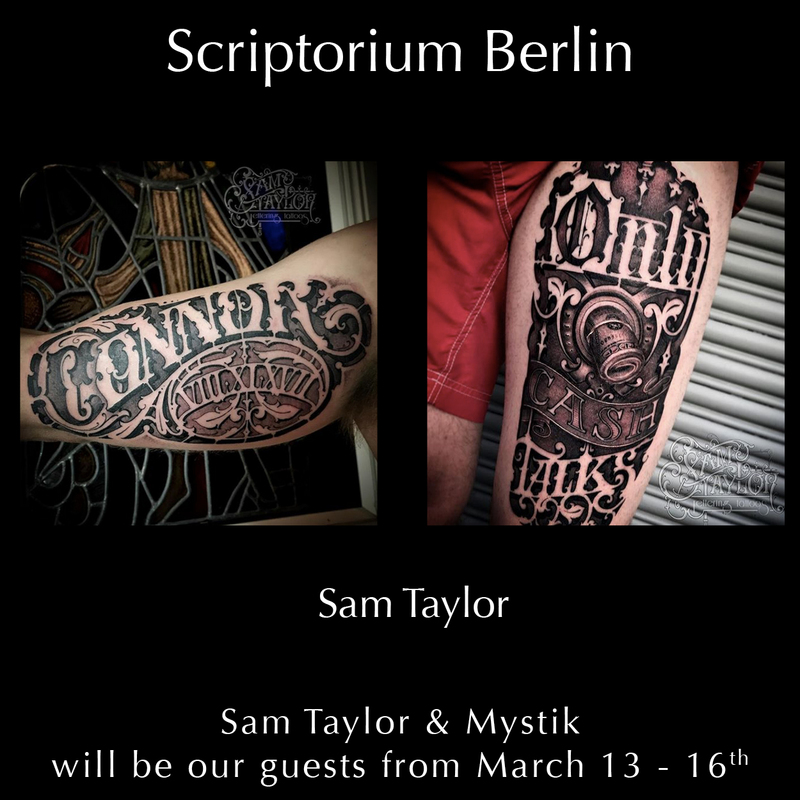 We will have 2 very special guests from 13 to 16th March in our studio: Sam Taylor and Mystik from Australia. 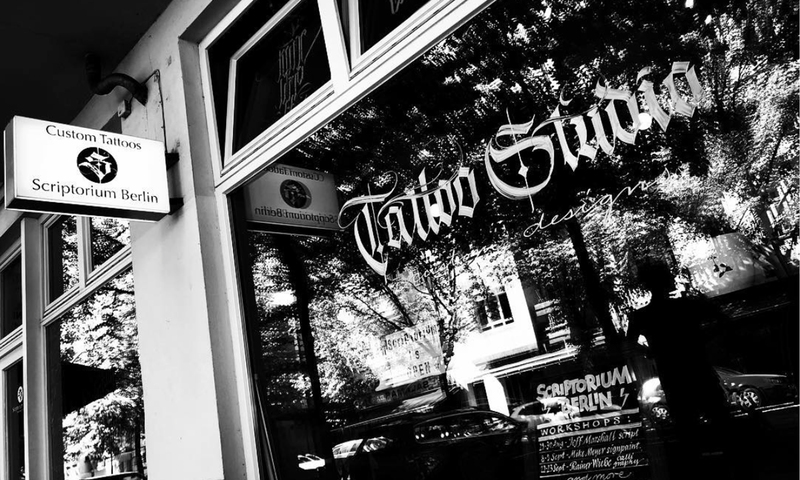 To book an appointment with Sam Taylor, you can contact him directly per email (samtaylortattoos@hotmail.com). Exactly the same applies for MYSTIK, feel free to write him a mail (Mystiks.art@gmail.com). 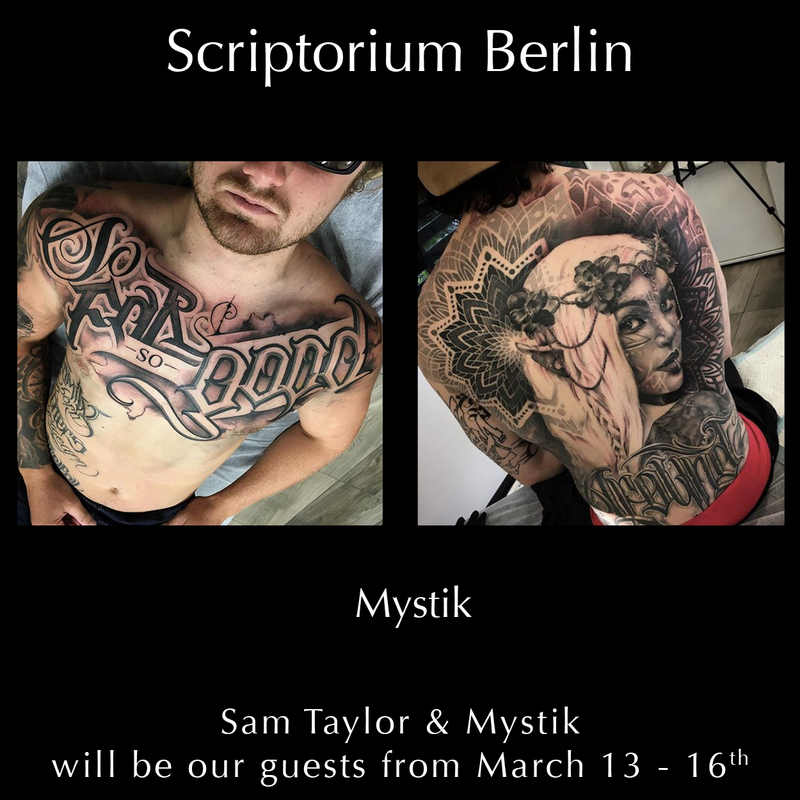 You can also contact the Scriptorium anytime (info@scriptoriumberlin.com).